Since I'm not in L.A. this week, I have to give credit to L.A. Parent for this family-friendly (and wallet-loving) weekend tip. 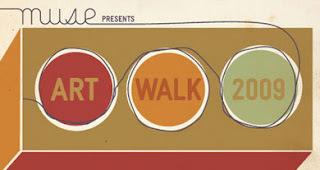 ArtWalk 2009 will step onto the Miracle Mile Saturday, May 30, from 9:30 a.m.-8 p.m. and include gratis general admission to four museums along that famous stretch of Wilshire Boulevard. The Los Angeles County Museum of Art (whose Muse membership group is presenting the event), the Page Museum, the Petersen Automotive Museum and the Craft and Folk Art Museum will open their doors and even host special events like Bollywood Step Dancing and live demonstrations in graffiti art. Wish we could be there. Who wouldn't want to see their 2-year-old reenact the final dance sequence in Slumdog Millionaire? Especially since she's already sung Jai Ho! At some point in the future, my child might kill me over this photo -- but I'm taking my chances. On Memorial Day, my cousins had an amazing cookout at their house in Oklahoma City that included nine children, their parents, grandparents and even one great-grandma ... and a partridge in a pear tree. It was a true family gathering and an opportunity for CC to bond with her Oklahoma fam. Little did I know that a mere five minutes after arrival, it would be my child who would need to disrobe and be hosed down after an unfortunate slide in the mud. Living in Los Angeles, I forget that it can rain in months like May ... or April or March, for that matter. Apparently CC used that to her advantage. And lazing out in the recliner! I have to say, it's nice to have a big family and to be able to reconnect with them. Right now, especially. We're in town to support my mom while she goes through heart surgery. She's doing so well, she's such a trooper, but it's always a nice reminder that there's a larger support system out there. No matter what. Here's to you, Mom! Wishing you a speedy recovery. You're in our thoughts and prayers! LAX didn't know what hit it when we arrived for our latest flight to Oklahoma. Running? Check. Screaming? Check. Time outs? Oh, yeah. But really, what's a toddler to do with so much open space and chairs that seem to be pleading: "Go ahead, jump on me. It won't hurt or drive your mom crazy. Promise!" This is the third time CC's been on a plane and the first time she's had her own seat. (Next it'll be her own car!) It's so funny thinking back to two years ago, when I was terrified about bringing an infant on board. I was nursing her at the time, and I had to pull some serious voodoo moves so I wouldn't show off the goods to my fellow fliers. Or get tangled up. She was so tiny, and I held her in my lap the whole time. This time around, CC was really good on the flight itself. Maybe being strapped in helps. We connected in Denver, and by the time we got off the plane, she was ready to rock out in the long hallways. She was my little Flo Jo, sprinting from Colorado Springs to Houston -- well, to their gates anyway. But it worked. She ran and ran while we waited, and once we boarded the propeller(!) plane for Oklahoma City (Seriously, couldn't they have requested a larger aircraft for a two-hour flight? ), CC began the infamous airplane head bob that's the first step in a long, and much deserved, nap. 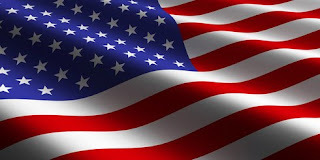 Have a lovely and relaxing Memorial Day! We're going to chow down on hamburgers and hot dogs with the fam later tonight! I might have to bring donuts, just because. It was choo-choo time once again for CC and me, as we arrived at Union Station's Track No. 13 for opening day of Disney's "A Christmas Carol" Train Tour. Chugging through the station's entrance, past the lovely waiting room, through a long tunnel and up a lengthy ramp, we finally found the Grand Central of train madness. We arrived early, but there was still a healthy line -- hello hourlong wait! Hello blazing sun! Goodbye sanity! Once we got inside the train cars, it was truly magical. They housed costumes from the upcoming movie, artifacts such as notes and books from the Charles Dickens Museum in London, as well models of such landmarks as Big Ben. Not only that, but wall space was mostly filled by HD screens that showed interviews with actors from the movie, including Jim Carrey, Colin Firth, Gary Oldman and director Robert Zemeckis; art from the upcoming film; games for the little ones; and a peek into how they created all those the performance-capture scenes. The piece de resistance was the final car, which was home to about 20 HP Touchsmart PC's that allowed you to take your picture and then morph your face into one of the "Christmas Carol" characters. CC was a little small to be right in the camera's eye, so I had to do a fancy contortionist routine to hold her up while trying to stay out of the frame. Touching the "click" button on the screen while doing all of this really should have qualified me for a role in Cirque du Soleil. Once we nailed the shot, I morphed my little darling into the character of Tiny Tim. I was a little wary of turning her into Marley's Ghost -- didn't know quite how she'd take that later in life. It was combo lunch/nap time when we disembarked, so we missed out on the 3-D clips from the movie. We did pass the large adjacent theater, the exterior a kind of bouncy house brick mansion, where kids and adults anxiously waited their turns to catch about 10 minutes of the film. Besides the Christmas theme, the smell of cinnamon baking in the last car and the carolers bundled up in their winter finery, there was one more thing that made me wish for hot cocoa on this warm L.A. day. Strolling toward the exit, my child pointed toward the sky, to machines pumping out bubbiliciously white goodness, and said, "Snow!" Silicon Valley Moms Blog, parent of LA Moms Blog (which I write for) and NYC Moms Blog (which Katie Couric writes for), has posted a summary of the conference call we had with Katie on Tuesday. The post also provides links to personal sites of the other moms who were on the call and decided to weigh in. Please check out their stories for different points of view. It's been such a great group effort, a real testament to how powerful and influential moms can be. With all this Debbie Downer talk of the economy, I wanted to touch on something a little more uplifting -- particularly for moms. I know there have been a lot of mom casualties in what's been termed the Great Recession (I've even written about it here and here), but I've also noticed that moms have been taking the extra time to focus on other projects while looking for another job. (Hello, more blog postings!) And it's pretty amazing to see what kind of creativity arises during hard times. Turns out there's a TV series in the works that's spotlighting women and their inventions. And it's from the chipper mom herself, Kelly Ripa. She and TLC are partnering on a show that will help women inventors manufacture, market and sell their product on HSN. There will be an open casting call in Los Angeles June 21-22, as well as dates in other major cities, but if you can't make it to one of those, here's information on how to submit your pitch. So, ladies, unpack that hands-free diaper changer or self-cleaning high chair you've been working on. In the spirit of mom-speak, it's time to share! Looks like Christmas is coming early this year. A nationwide train tour for "Disney's A Christmas Carol" will be chugging into Union Station on Friday, May 22, and if you haven't already had your fill of locomotives, this looks to be a fun (and free!) outing for the little ones. Visitors will be able to see four custom-designed train cars housing behind-the-scenes attractions -- including a look at the making of the movie -- demonstrations and activities such as morphing your face into characters from the film (Can't wait to get Scrooged!) There also will be artifacts from London's Charles Dickens Museum, costumes, carolers and -- a SoCal rarity -- snow. Oh, and don't forget the exclusive peeks at 3-D clips from the movie. This is all to stir up excitement for the upcoming Robert Zemeckis-directed performance-capture "Christmas Carol," which stars Jim Carrey as our dear but miserly Scrooge and hits theaters Nov. 6. If you're not in the L.A. area, the train tour should be stopping in or close to where you live. It's making 40 stops across the country, including Oklahoma City; Omaha, Neb. ; and Whitefish, MT(!). That's in addition to the big-time outposts. So hop aboard if you have some time this weekend. C'mon, you know you're dying to see Union Station twice in the same month! And a shout out to Trailer Addict for the preview! A couple Sundays ago, I had the pleasure of playing dress-up and modeling for my friend Sara's Adelie website. Our friend Vanessa from Little Gray Pixel shot the pics, all 600-plus of them (! ), going way beyond the call of duty by hitting the ground to get all sorts of angles. She was all about giving me tips from America's Next Top Model, telling me, "If it feels wrong, it's right" and cooking up steamy scenarios that involved me waiting for men named Carlos and Antonio. As she posted on her site, our photo shoot suddenly turned into a telenovela. Sara was our incomparable stylist, who put together outfits and accessories I never would've imagined. But they worked! All of them! That's why she's got the great store. It was a very girly (and long) day. I used to roll my eyes when models/photographers complained about lengthy days on photo shoots. But we spent a good 5-6 hours at the Korean Bell park in San Pedro, changing outfits, practicing poses and sometimes just goofing off while doing a little salsa. So here's to Sara and Vanessa, who helped this mama rock out in front of the camera at least for a day. I'm about to jump on a conference call with Katie Couric, who has begun a long-term series on Children of the Recession on CBS. As you might know, this is a topic that has hit home for me, since I was laid off from my job last month. Obviously, with only one parent working it affects my daughter directly. We are lucky that we haven't experienced the dramatic turmoil that has affected a lot of kids in this country. I'm happy to see that Katie is focusing on those that matter most -- our kids. Silicon Valley Moms Group, parent of L.A. Moms Blog and NYC Moms Blog (which Katie writes for), arranged this conference call, with a couple moms from each city participating in the call. I'm happy to be on board. Please stay tuned for an accompanying post coming soon. So I steeled my stomach and prepped the Pepto (OK, only in my mind), as CC and I buzzed over to the Natural History Museum for its 23rd annual Bug Fair. I know kids love bugs -- and as a 5-year-old, I remember vaguely being obsessed with your average roly-poly -- but this place was a madhouse. We arrived in the late morning, and there was already a line out the door (high-five, museum membership for letting us roll right in! ), and it was a tight squeeze once you got inside. That made me a little nervous, to tell you the truth. Only because I figured it increased my chances of some random insect either voluntarily or otherwise getting a little too personal with yours truly. And there were bugs, all right. Plenty of them -- many even for sale. Ye ah, people were actually parting with cash for these over-sized and sometimes furry (furry!) creatures. In fact, my child got eyeball to eyeball (separated by a plastic tub, thank God) with a Brazilian Red Tarantula. Tarantula! That one was going for $110. Is that a good deal, I wonder, or the equivalent of going to Nordstrom for that tank top when you really could have hit Macy's? When I told my mom, who lives in Oklahoma, she was outraged. "You can just go down to Texas and pick one of those up without paying a dime," she said. Note to self: Never go back to Texas. We even made it outdoors to take in Annie and the Natural Wonderband singing about being "Totally Bugged Out" and dancing around the north plaza. Unfortunately, we missed the insect chef -- who I'm hoping was busy reconsidering his calling in life. In the event that he wasn't, there's always next year. Instead of a pet tarantula, however, what we did end up purchasing was a lovely blue and pink pair of wings for my little angel. Because that's what I'd like to think of them as -- instead of appendages to something I'd rather swat than cuddle. Thanks to the magic of Twitter and its instant (micro) message technology, I learned from @LA_LIVE today that one of its shops, New Zealand Natural, was giving away free ice cream. So what did I do? What any temperature-challenged Angeleno would do -- I packed up the toddler and made a beeline for Olympic and Fig. For those who aren't familiar with L.A. Live, it's a downtown entertainment complex that's home to restaurants as well as the Nokia Theatre and Grammy Museum. In this tightly packed area across from the Staples Center, construction is still under way for what will presumably be a downtown rival to Universal CityWalk. And, with watering holes like Trader Vic's and the Conga Room, it's probably much more fun at night -- and possibly after a few Tiki-tinis or Mai Tais. As daytime dwellers, however, CC and I still managed to find the fun in ice cream. 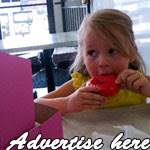 NZN, right on Figueroa, is a cozy ice cream and dessert shop. A buff and friendly guy took our order and happily scooped up a cookies-and-cream cone for CC. When I dropped some cash in a jug for charity, a woman handed me an autographed photo and said to CC, "Would you like a signed picture of the nice hockey player who just scooped your ice cream?" Talk about embarrassed. I hadn't really paid attention, but it was Derek Armstrong of the L.A. Kings. 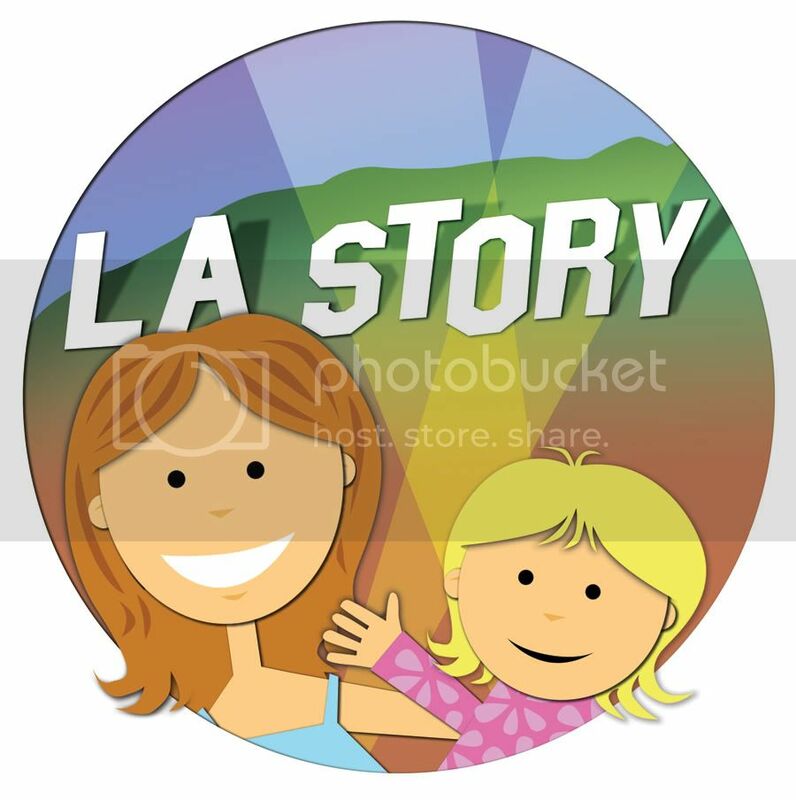 So, from @la_story, here's to Derek and @LA_LIVE! It might have surpassed the Twitter-friendly 140 characters, but this post is a big thank you for the hot tip and the super-cool treat. In this hard-scrabble economy, in which car companies sputter and stall, all but avoiding that permanent shift into Park, and each day sees another newspaper considering whether to fold (and not in the bendy way), it's nice to revisit the free things in life. That's why we took a trip to a nearby library. I had driven past the Wilshire Branch of the Los Angeles Public Library several times but had never gone in. (Our go-to library, the Fairfax Branch, next to Pan Pacific Park, was always our default book stop.) But yesterday, I felt the urge to investigate. In the middle of the afternoon, the place was mostly empty, save for that random guy typing furiously on his laptop at a nearby table. I guess it's like Starbucks without the coffee or the thousand other screenwriters. The emptiness seemed like an open invitation for my child to relinquish all volume control. We're still trying to teach CC the difference between indoor and outdoor voices, and that screaming isn't always appreciated -- particularly in places best known for "shushing." Stuffed animals lined the tops of bookshelves in the children's section, and CC was determined to take down (or, rather, have me take down) each one. She began placing random horses and bears in mini chairs in some sort of Toys R Us meets the Algonquin Round Table style. We stayed for a while, read some books and found an interesting local one, "Good Night Los Angeles." It was fun to think that CC had visited nearly all of the attractions it described. But we eventually had to book it, as patient, quiet library time for a 2-year-old is kinda limited. What I also found out -- when I had to go back for her beloved blanket -- was that this branch offers Preschool Storytime, with songs as well as stories, from 10:30 a.m.-11 a.m. on Wednesdays, May 20 and 27. Now that I'm home, and that's a feasible option, it's nice to know it's available for the small price of the ride itself. So check out your local Los Angeles Public Library branch. Who knows what else you're missing. For a long time, CC and Sassy engaged in a love-hate relationship. CC would love sitting on her. Sassy would hate it. CC would love pulling her ears and tail. Sassy would really hate it -- but still grudgingly endure the humiliation. In the last few months, there has been a lot of progress. CC cuddles with Sassy nicely. And Sassy doesn't hate it. While they might not be BFF just yet, they're still TFFN: tolerable friends for now. 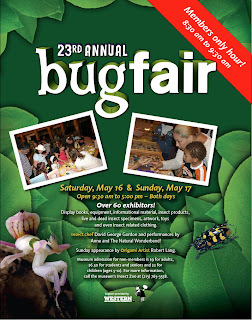 This weekend, the Natural History Museum will host its 23rd annual Bug Fair. On May 16 and 17, the museum will transform from Dino-might Central to Insect HQ. Special guests include insect chef (yes, that is the man's title) David George Gordon, who will prepare some of your no-doubt favorites, including tempura-battered tarantula, sweet and sour silkworms and sweet Washington waxworms, apparently for those who can still stomach dessert. Musical guests Annie and the Natural Wonderband will perform, while origami expert Robert Lang will show kids how to fold paper wings. If you or your children are eager to learn more about our multi-legged friends, there will be experts and museum curators available at tables, where visitors can interact with displays. And if you're a museum member, you'll be able to pass through the velvet rope a little earlier. On Saturday and Sunday, members can check in an hour ahead of general admission (8:30 a.m. as opposed to 9:30 a.m.) and get a first bug-alicious glimpse of what's on offer. In a note of irony (which I always love), I've noticed that support for this event has been provided by Western Exterminator Company. Who said museums had no sense of humor? This was a busy weekend for CC and me, and one of our events was the launch party for Debi Derryberry's new CD "Baby Banana." The kid-tastic bonanza took place at Westside Children's Center in Culver City. I'd never heard of this organization before, but it's a nice-sized facility that sports a great pla yground as well as the meaningful mission statement of providing foster care to neglected children. In addition to the singing, dancing and storytelling, young culinary students from Piccolo Chef (also located at the Center) were on hand to provide strawberry-and-pineapple kabobs as well as chocolate-covered bananas. CC really got into the music -- you can see her in the video tapping her feet from her playground perch -- and even started dancing next to Debi as she strummed her pink guitar. (Kinda reminded me of Courteney Cox in Bruce Springsteen's "Dancing in the Dark" video.) To cap off the afternoon, she even got a pic with the voice of "Baby Banana" herself. Now, for giveaway news! After writing names on little sheets of paper, on which CC then added her colorful stamps of approval, we threw them into an LA ball cap we purchased at the Venice Pier a few months ago. CC drew pulled a name out of the hat, and it is .... drum roll, please .... Maggie! Come on down! You're the lucky winner of the new "Baby Banana" CD. We sang "Itsy Bitsy Spider" in your honor, but I'll spare you that video. I'll shoot you an email to get your address, and we'll go from there! Congrats, and thanks for reading the blog. And thank you to Pokie and Emily for also leaving comments and great song choices. In case you missed this little ornery gem on Saturday Night Live, here's the latest skit from Justin Timberlake and Andy Samberg. The duo are back to honor mothers (and each other's mothers) in their own special way. Note: For the easily offended, do not press play. 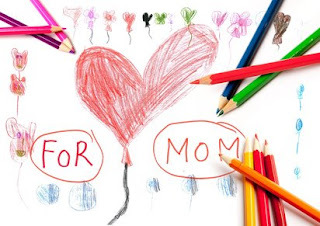 Happy Mother's Day to all the hard-working moms out there! By the way, that's all of you! In honor of National Train Day, CC and I followed the tracks downtown to Union Station, where "trainiacs" of all ages gathered to show some railroad love. Although there were exhibits all over the station itself, CC and I mostly stuck to the Amtrakids Depot. On display were Radio Disney's Rockin' Road Crew, mini electric train s as well as play areas where kids could board their own pint-sized choo choo. Goodies also included engineer's hats, whistles in the shape of trains as well as little tables where kids could draw till they were tired. As I said in my previous post, I had never been to Union Station until today, an d it is gorgeous. Opened in 1939, the building and its architecture have been beautifully preserved, and it really feels as if you're stepping back in time. On our way out, walking through the lovely time capsule that is the waiting room, we hit the Go Green Express display, which highlighted the energy-efficient aspects of rail travel. While we were there, we also ran into Artie the leaf, Amtrak's environmental mascot. CC was on board for the whole adventure and might have become L.A.'s newest "trainiac." It might be May, but in Southern California it feels like the middle of a steamy July. So what better way to spend a sizzling Los Angeles afternoon than hitting the air-conditioned digs of Electronic Arts for their EA Summer Block Party? CC and I made our way over to the video game company's Playa Vista HQ and entered a campus that looked like a gamer's paradise. Flat-screen TVs with gaming consoles? Check. Old-school arcades? Check. On-site gym? Check. Little cafe with coffee and muffins in the lobby? Check. OK, maybe that last one is just my idea of paradise. Once we got to party central, CC immediately donned a couple of festive leis and made a beeline for the beach balls. I wanted to check out the games. Since we don't have a Wii, Xbox or PlayStation at home and the last game I played was probably Super Mario Bros. (eek, did I really just admit that? ), I was in slightly foreign territory but completely fascinated. I grabbed a lemonade and headed for a comfy couch, where I saw an image of Mr. Potato Head bouncing around onscreen. Child's play, I thought. "You look like you could use some help," said a friendly voice behind me. He must have noticed me pushing buttons wildly and trying to pass it off as extreme gaming. Wanting to see what else was on offer, we wandered around the joint, nibbling on some cookies and popcorn. I even helped CC stick her face through a cutout of Tiger Woods for a photo op (would post it here, but it was a Polaroid). Then we landed on a station that looked more her speed -- the Nintendo DS. I see kids with these ultra-mini laptop-looking devices all the time. CC is still a little too young, but she did try out Littlest Pet Shop, where she was able to color way outside the lines on a cute little bunny. Then erase it all. Then re-color it, and so on. It was great having her yell out which color she wanted to try next. "Color!" "Pink!" "Green!" "Color!" We didn't even make it to the Harry Potter and the Half-Blood Prince or The Sims 3 setups before we had to go. Other than the fact that it was time for dinner, I was afraid if I stayed too long, I might make a pit stop at Best Buy on the way home. Instead we took the scenic route along Venice Boulevard, where I got to see Rydell High, er, I mean Venice High, as well as something truly perplexing. There is a sign at Venice and National that advertises getting your hair back for 67 cents each. Does that seriously mean 67 cents per hair? It was hot, I was wiped out, but I'm glad I got the photo because I never would have believed myself in the morning. Always on the lookout for fun and charming CDs for CC, I was happy to receive a copy of Debi Derryberry's "Baby Banana." You might know Debi best as the voice of Nickelodeon's "Jimmy Neutron," but she's also a creative and talented singer/songwriter. Her latest musical effort is a tropically themed CD that's best described as Jimmy Buffett for the Gymboree set. Instead of Margaritaville, though, kids can get a taste of "Tropical Fruit," a calypso/reggae-style song about the virtues of pomegranates, papayas and prickly pears. "Baby Banana," which was inspired by a bedtime story Debi created for her son about a particularly unique family of Baby Banana, Momma Duck and Daddy Gorilla, is a mix of new songs and earlier favorites. When I played it for CC, I found myself actually bopping my head to some of the beats -- something I'm sure will embarrass my daughter eventually. But more importantly, she got into it, too. She kicked off her famous CC dance, which consists of her moving her whole body from side to side. OK, so it's not Fosse, but she's got time. What's even better is that the songs encourage interaction and acting out the words. In the tune "I Wish You Could Fly With Me," CC got to spread her arms and pretend she was airborne. She also can count along to "Scoops of Ice Cream" and practice her colors with "I'm a Chameleon" -- not to be mistaken for Boy George's "Karma Chameleon." And Debi's adorable voice only adds to the kiddie fun. This one's a keeper. Now, here's the best part. I'd like to offer one of my readers a new "Baby Banana" CD, which also includes Debi reading from her storybook "Baby Banana and the Licorice Tree." Just leave a comment below telling me your favorite children's song, and I'll pick a winner (at random) to be announced Monday, May 11. Feel free to spread the word on your blog, on Twitter or just by shouting through the streets. The last one, though, might get you arrested. Just sayin'. Good luck and bring on the kids' songs! Take a look at my second Hollyblog over at TheWrap.com: Role Models? Depends on where you look! In Hollywood, it might be hard to find role models for your kids. But you might be surprised where one mom found some. National Train Day is Saturday, May 9, and Union Station is hosting a kid-friendly event to mark the occasion. From 10 a.m. to 3 p.m., kids can get up close and personal with displays that include historic private cars, freight cars and Amtrak equipment. Also on the schedule are events at the Amtrakids Depot. Radio Disney's Rockin' Road Crew will be there from 11 a.m.-1 p.m. providing music, a dance party and interactive games. Magicians, face painters and Amtrak train engineers and conductors will also be on hand to entertain and educate the pint-sized "trainiacs." From the looks of it, this event seems very hands-on. So count on us in for Saturday. It will also mark our first trip to Union Station. And besides, I can't wait to hear two of the cutest words in my little munchkin's vocabulary: "Choo choo!" When I saw my daughter planting a big one on another little girl at daycare the other day, my thoughts began at "How cute" and somehow found their way to "Yikes! Is my child part of the new pre-pandemic?!" Please check out my LA Moms Blog post: What's in a Kiss? Swine Flu? This goes without saying, but I'm hoping the answer, in this case, is no. Save the date! 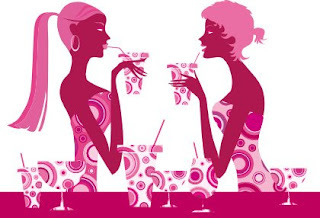 National Moms' Nite Out is Thursday, May 7. Here in L.A., moms Kimberley Clayton Blaine of TheGoToMom.TV and Romi Lassally of TruuConfessions.com are hosting a local event at The Mint from 5 p.m.-8 p.m.
On the menu are cocktails, food, special guests and prizes. Admission is free, but they do request you bring one pack of diapers as a donation. The event is also a fundraiser for the Children's Institute. RSVPs are required, so click here for more info. Raise your glasses, moms. Hope you can make it! Welcome to Fantasy Island! Well, actually welcome to the Los Angeles County Arboretum & Botanic Garden, which this weekend is playing host to the LA Garden Show. CC and I joined my friend Pat from Eating L.A. for an afternoon stroll around the grounds, and not only did we see some aggressive geese (who knew they hissed?! ), we also spotted "Entourage" star Adrian Grenier checking out how a local designer's garden grows. What fascinated me most was the Queen Anne Cottage, seen in the background in the above pic, which is most famous for its co-starring role in the late '70s/early '80s TV show "Fantasy Island." I had no idea this is where they filmed that and was desperately looking for "Tattoo was here" scrawled somewhere on the house itself. Apparently, the original owner, Elias Jackson "Lucky" Baldwin (presumably no relation to those Baldwins) built the home in the late 1800s solely for entertaining. There isn't even a kitchen in the cottage, and all the cooking was prepared at a nearby adobe house. The garden show itself was lovely, offering everything from plants to crafts to designer garden displays. The setting was perfect, too, amid the sprawling and lush botanic grounds. There were even several peacocks, CC's new favorite animal, strolling on the grass and walkways, yelping every step of the way.